Fire fighting equipment - Grodkowskie Zakłady Wyrobów Metalowych S.A.
Dry powder extinguishers are used to put out fires of BC or ABC class. They are recommended for passenger vehicles, boats, lorries, buses, schools, garages, hotels, offices, stocks, warehouses, factories, in chemical industry, etc. Wheeled dry powder extinguishers are used to put out fires of BC class. They are recommended for use in lorries, buses, hotels, offices, garages, warehouses and stocks. 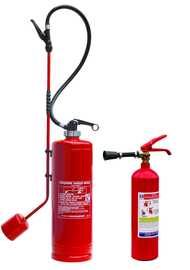 Gastronomic foam extinguisher GWF-3X ABF with water solution of 1% ORCHIDEE SC-1 and INILAM A is used to put out fires of ABF-class. Applicable in: gastronomy, domestic kitchens, paper, wood, gum warehouses, chemical laboratories, paint shops and stores. 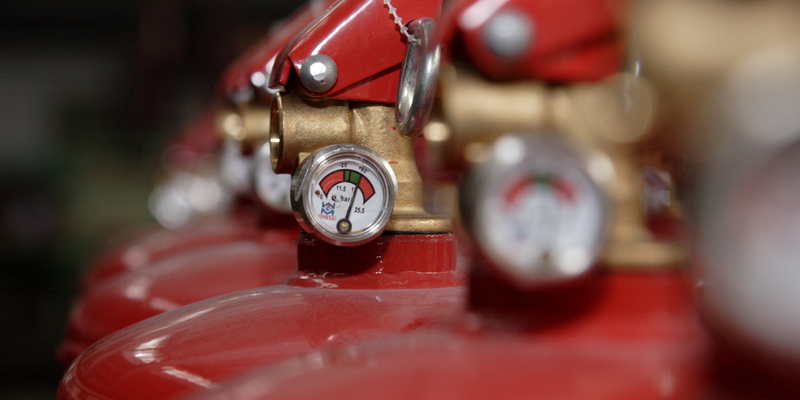 Wheeled dry powder extinguishers AP-25 available soon.